New Pond's Flawless Radiance Derma+ BB Cream is the 1st derma grade solution from Pond's that is inspired by derma treatments for a spot-less, pore-less, luminous skin.BB+ skin formula is clinically proven to multi-task by giving you high coverage, added sun protection and treatment that helps to perfect the skin. It's your one-step balm that gives instant natural coverage & glow for flawless look without makeup. It is clinically proven to boost skin's cellular energy, reduce spots like laser, tighten pores like IPL and boost radiance like Gluta. It contains a patented derma ingredient, 5% DermPerfect complex, which is specially formulated by The Pond's Institute and designed to be better than leading dermatological ingredients. It combines six ingredients, including two powerful bio-actives '" Vitamin B3 and Hexyl Resorcinol, to deliver derma treatment-like results and flawless skin quality. Based on In-Vitro test, it is also 10 times more effective than Hydroquinone and 20 times more effective than Kojic Acid.To boost your flawless skin quality results, use with Pond's Flawless Radiance Derma+ Perfect Serum and Day Creams for that natural radiant glow.Dermatologist tested. Best suited for all skin types. 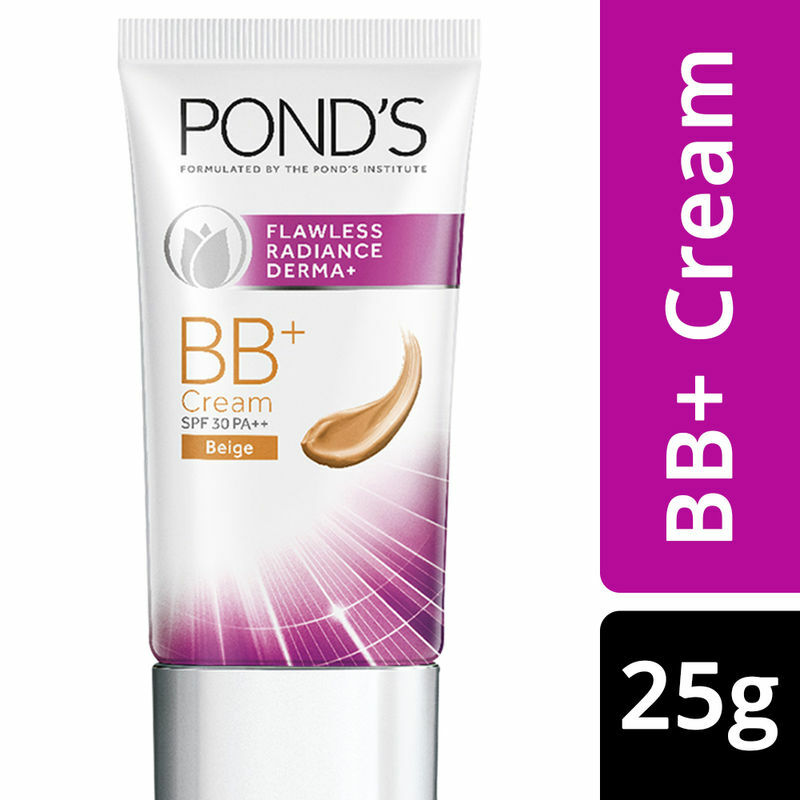 Flawless Skin Beyond Belief:New Pond'S Flawless Radiance Derma+ Bb Cream Gives You Good Coverage, Natural Glow And Enhances Your Flawless Look That'S Spot-Less, Pore-Less And Luminous. Derma Treatments Inspired: Our 1St Derma Grade Bb Cream From Pond'S That Is Inspired By Derma Treatments To Enhance Your Flawless LookPatented Derma+ Technology: Contains The Highest Level Of Breakthrough Derma Ingredient, 5 % Dermperfect Complex, To Boost Your Skin'S Cellular Energy. Targets Spots Like Laser, Tightens Pores Like Ipl And Brightens Skin Tone Like Gluta. Usage: Apply In The Day After Day Cream. For Best Results, Use With Pond'S Flawless Radiance Derma+ Perfect Serum And Day Cream.